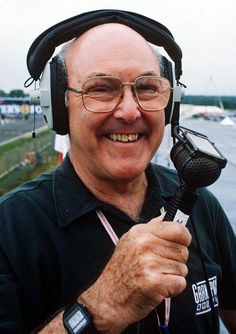 Murray Walker was bornon October 10, 1923 in Hall Green, Birmingham, England, British, is Formula One Commentator & Journalist. 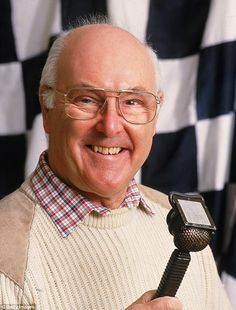 Graeme Murray Walker is a semi-retired Formula One commentator and journalist. He was born and brought up in Birmingham, England, to a Formula One enthusiast and sales director of a motorcycle company, Graham Walker. Interestingly, Walker did the commentary for Formula 1 initially with his father for BBC. Walker attended the Royal Military Academy Sandhurst and left the army after gaining the title of captain. He worked in advertising for a major part of his life and continued to do it even when he started commentating for Formula 1. Throughout the 1970s, Walker did full-time commentary for BBC until 1997 and then he joined ITV Network and worked along Martin Brundle in commentating for F1. He announced that he was to retire from Formula 1 in 2000 but returned back to the microphone in 2005 with BBC. 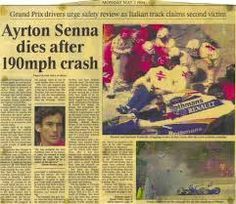 He has also written books on Formula One with the title of ‘Murray Walker’s Grand Prix Year’ with Hazelton Publishing for many years. He is known for his interesting analysis and enthusiastic take on Formula 1 and people still like him for his gentlemanly conduct and positive approach in everything. 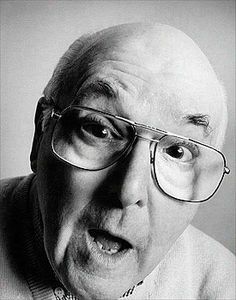 Walker was born Graeme Murray Walker at 214 Reddings Lane in Hall Green, Birmingham, Warwickshire on 10 October 1923. His father Graham Walker was a despatch rider and works motorcyclist for Norton Motorcycle Company, who participated in the Isle of Man TT. 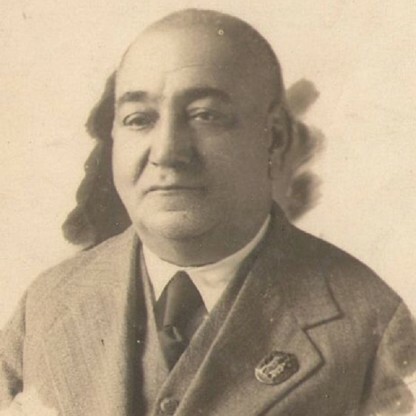 His mother Elsie Spratt was the daughter of Harry Spratt, a businessman from Leighton Buzzard, Bedfordshire. In 1925 Walker and his family moved to Wolverhampton when Graham became the Competition Manager for Sunbeam. The family later moved to Coventry in 1928 when Graham worked as the Sales and Competition Director for Rudge-Whitworth. Walker&apos;s education began with a governess at the family home which followed by attending preparatory schools around the country. Walker attended Highgate School gaining a Distinction in Divinity. Within two years of Walker&apos;s arrival at Highgate he joined the School Bugles, learning to play the Bugle. At the outbreak of the Second World War the Highgate School governors became concerned about the possible extent of bombing raids on London with Walker and his fellow students being evacuated to Westward Ho!. Students returned one year early and later returned to Devon remaining there until 1941. Within this time Walker rose to the rank of Company Sergeant Major of the School Corps. Walker was later conscripted into the armed forces and applied to volunteer for tanks but was required to wait due to the lack of resources supplied by the Armed Forces. Walker worked with the Dunlop Rubber Company where they offered 12 scholarships yearly and was based at Fort Dunlop. As part of the evacuation scheme imposed by the British Government Walker was evacuated to Erdington living with the Bellamy family at 58 Holly Lane. On 1 October 1942 he took a train from Waterloo to Wool where he reported to the 30th Primary Training Wing at Bovington, the headquarters of the Royal Armoured Corps. 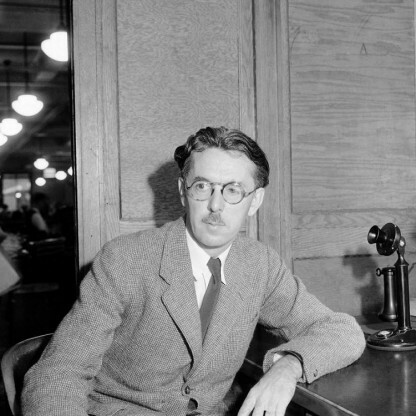 Walker made his first broadcast at Shelsley Walsh hillclimb in 1948. By 1949 he was commentating on races alongside Max Robertson, although it wasn&apos;t until the late 1970s that each Formula 1 race was given extensive coverage on British television. He did occasional Formula 1 commentaries during the 1970s, going full-time for the 1978 season. He commentated on Formula 1 through to the 2001 United States Grand Prix at Indianapolis. His first regular work was on radio coverage of the Isle of Man TT, initially alongside his father. After Graham&apos;s death in 1962, Murray took over the lead role. He covered motocross (initially for ITV) during the 1960s and rallycross in the 1970s and early 1980s. He occasionally commentated on motorcycle racing and rallying. Walker covered the BTCC for the BBC between 1988 and 1997, and the Macau event for Hong Kong TV on nine occasions. On Formula One coverage from 1980 to 1993, Walker struck up a surprisingly successful, and extremely popular, double act with 1976 World Champion James Hunt. Initially they did not get on, as Hunt&apos;s interests, personality and private life appeared to have little in Common with Walker&apos;s. However, the pair eventually became good friends. Walker and Hunt were to work together for more than a decade at the BBC, until Hunt&apos;s death from a heart attack in 1993. Murray also wrote a series of annuals for the Grand Prix season, Murray Walker&apos;s Grand Prix Year, for Hazelton Publishing from 1987 to 1997. The books, which have become something of a Collectors item among enthusiasts, usually consisted of a summary of the season as well as each individual race, with Murray&apos;s own comments on the individual teams and drivers performances, as well as news about the teams. After Hunt died, former F1 driver Jonathan Palmer (Pit reporter for BBC F1) joined Walker in the commentary box until the end of 1996, though in 1993 others such as 3 Time World Champion Jackie Stewart took the role as Walker&apos;s partner for the 1993 British Grand Prix and 1980 World Champion Alan Jones took the role as Walker&apos;s partner for the "fly away" race in Australia at the end of the season, both requested by Nine&apos;s Wide World of Sports (an alliance of BBC to give out in Australia). The following year, the television rights for the UK coverage transferred to ITV, and Walker followed. His co-commentator from the 1997 season onwards until his retirement from commentating was another F1 driver, Martin Brundle. There were a few Grands Prix between 1978 and 1996 that Walker did not commentate on while employed by the BBC, usually as a result of his actually commentating elsewhere. Some of these included the 1979 Belgian Grand Prix and 1988 Hungarian Grand Prix (when Simon Taylor deputised for him), the German Grands Prix of 1981 and 1984 (both commentated on by Barrie Gill), and the 1985 German Grand Prix (Tony Jardine). In November 1997, Walker was awarded an honorary Doctor of Letters degree from Bournemouth University. He was later honoured, in July 2005, with an honorary doctorate from the Middlesex University, London. He was the subject of This Is Your Life in 1997 when he was surprised by Michael Aspel during a promotional video launch at the Sports Cafe in London’s Lower Regent Street. In December 2000 Walker announced he was to retire from Formula One commentating. Walker&apos;s final Formula One television commentary was the 2001 United States Grand Prix which was also the second F1 race held at the Indianapolis Motor Speedway, and the last race win for Mika Häkkinen. Upon his retirement, Walker was awarded an original brick from "The Brickyard" by track President Tony George. Despite retiring from commentary after the 2001 United States Grand Prix, he returned to broadcasting part-time in 2005 and has since made occasional appearances on the BBC, Channel 4 and Sky Sports F1. In October 2005, it was announced that Walker would be returning to the microphone as the BBC&apos;s voice of the new Grand Prix Masters series. After providing the commentary for the inaugural race in South Africa, in January 2006 BBC Radio 5 Live announced that Walker would be part of their team for their coverage of subsequent races. From 2006 to 2008, Walker was heard describing the races in the Beat the Boys segment of the show Ant & Dec&apos;s Saturday Night Takeaway. In June 2007, Walker visited the Isle of Man to celebrate the Centenary of the Isle of Man TT and work on a DVD documentary about the event, TT: Centenary Celebration with Murray Walker, which was released later in the year. In July 2007, Walker commentated on the European Grand Prix for BBC Radio 5 Live. This was a one-off in place of regular commentator David Croft who was on paternity leave. On 28 June 2008, Walker was honoured by the people of his hometown and presented with a "Star" on the Walk of Stars on Broad Street, Birmingham. On 9 July 2011, he returned to BBC F1 on BBC Five Live and BBC One as a co-commentator for Free Practice 3, and appeared on the Qualifying show alongside Jake Humphrey, Eddie Jordan, David Coulthard and his former co-commentator Martin Brundle as well as 5live F1 special and occasional commentary on the race on BBC Radio Five Live. He also returned again in 2012. In May 2013, while on holiday, he had a fall, breaking his pelvis. During treatment for the fall, Walker was diagnosed with the early stages of lymphatic system cancer. 89-year-old Walker told the BBC "They&apos;ve caught it incredibly early. It&apos;s treatable - the doctors say my condition is mild and I&apos;m very hopeful." In June 2013, it was reported that Walker was to receive chemotherapy in the coming months and had cancelled plans to attend the 2013 British Grand Prix at Silverstone. However, on 28 July 2013, Walker stated that he no longer requires chemotherapy. In 2015 it was announced Walker would present a new F1 show for BBC Two with Suzi Perry. The show called Formula 1 Rewind will involve Walker looking back at some of the BBC&apos;s archives. In November 2015 he appeared on BBC&apos;s game show Pointless, paired with Nigel Mansell.